You know the name Winnebago. It’s synonymous with the great American road trip. The brand has stood the test of time, just as their campers do. 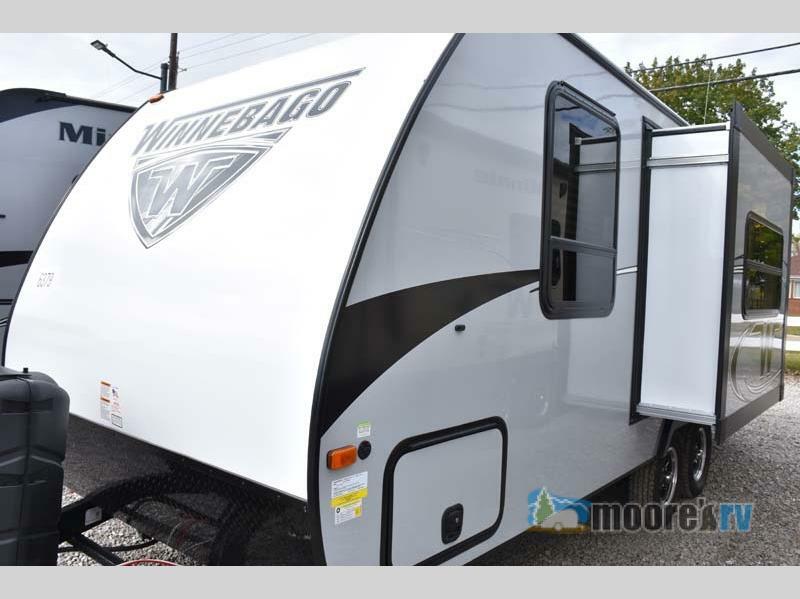 However, Winnebago does know how to keep up with the times and they have shown that with the Winnebago Micro Minnie travel trailer. It’s new, fresh and fun. The Micro Minnie is your answer to no-fuss camping. Here are the top 3 reasons to buy a Winnebago Micro Minnie travel trailer. Hook up the Winnebago Micro Minnie travel trailer for your next road trip. Winnebago has really made this Micro Minnie travel trailer for sale a beautiful home away from home. 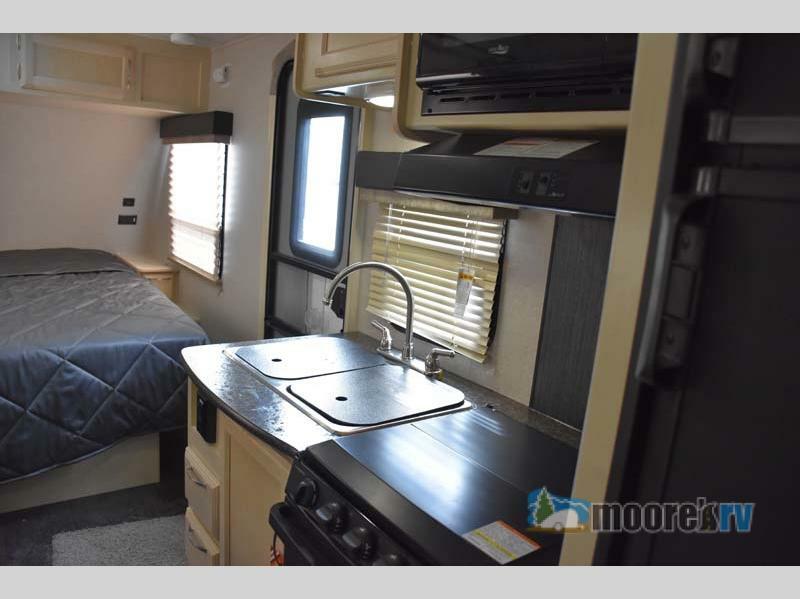 The interior is finished with light colors, which is different from most camper interiors. It leaves the interior feeling light, airy and larger. The dark appliances are a stunning contrast to the white wood cabinets. Not only is the interior beautiful, but also functional. There are cabinets overhead and closets that assure you have plenty of storage space. The dark interiors and light wood combine to form a beautiful interior. Three burner cook top with oven. Microwave for warming up leftovers. Double sink for easy cleanup. 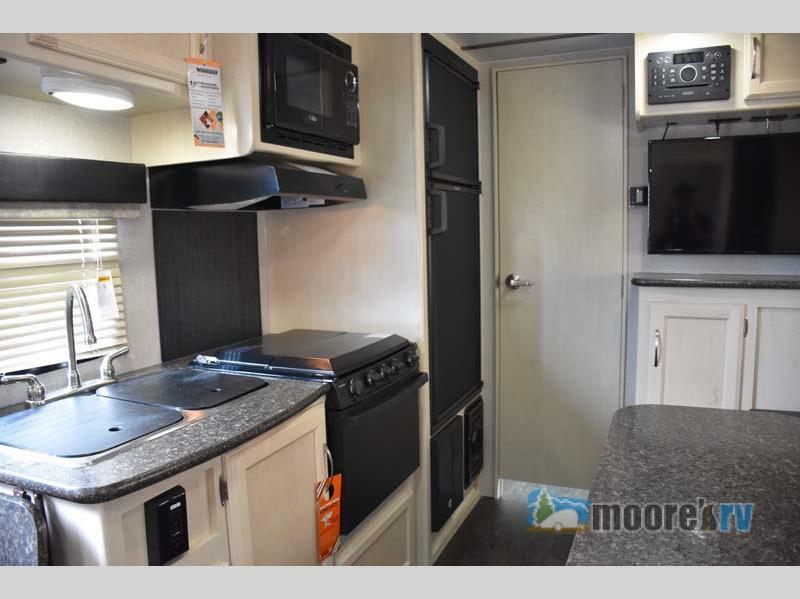 The kitchen and bed provide all the creature comforts you need. As we mentioned, Winnebago did not disappoint when it comes to storage. The interior storage includes overhead cabinets, shirt cabinets, a pantry, and a wardrobe. There is also storage accessed from the exterior for items such as coolers and lawn chairs. 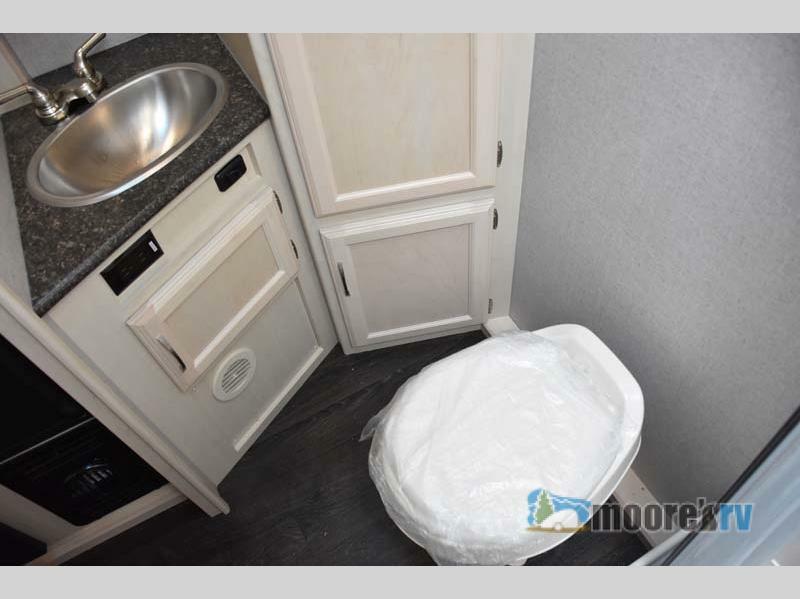 And as for important things such as a private bathroom, not to worry, Winnebago has you covered. There is a full stand up shower, toilet, wardrobe (more storage! ), sink, and medicine cabinet. Everything you need is included in the Winnebago Micro Minnie travel trailer. Facilities and storage are much needed items in a camper. The combination of beauty and comfort in the Winnebago Micro Minnie travel trailer is exactly what the seasoned or novice camper alike is looking for. If you are ready to embark on your own great American road trip, contact us at Moore’s RV today. Our friendly staff will get you going on YOUR road trip today.